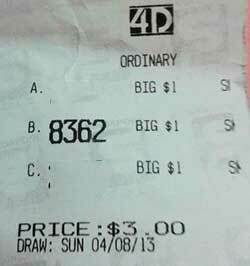 Received another winning tickets from a very happy Win4D Adv User. 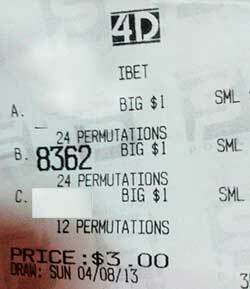 He won 2nd prize direct hit and a ibet on the 4 Aug 2013. Wonderful, more and more members are winning the top prizes. Remember to send in your winning tickets. Somehow, the more you send in the tickets, the more winning you see.